Ford has revealed a new plug-in hybrid version of its hugely popular Tourneo Custom people mover. Available in Europe later this year, the spacious eight seat model uses an electric motor/generator, powered by a 13.6 kWh lithium-ion battery pack, to power the front wheels. This is combined with the brand’s multi-award-winning 1.0‑litre EcoBoost petrol engine, which acts as a range extender. The advanced hybrid powertrain targets a zero-emission driving range of up to 31 miles or 310 miles using the range extender. 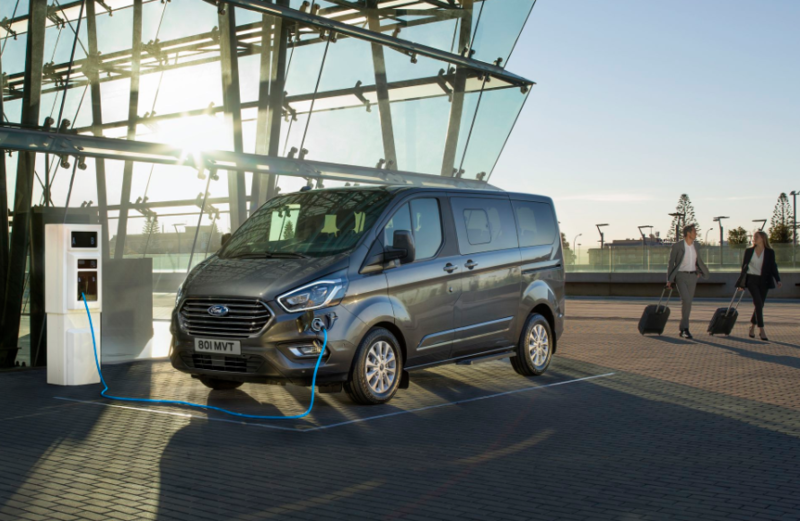 The first-in-class Tourneo Custom Plug-In Hybrid is among the first models unveiled as part of Ford’s strategy to deliver one of the most encompassing line-ups of electrified options for European customers. The company earlier this year announced that every Ford nameplate from the all-new Focus onwards will include an electrified option. From Fiesta to Transit, either a mild-hybrid, full hybrid, plug-in hybrid or full battery electric option will be offered.